A GAL NEEDS...: A Magic Elixir..Could it be Apple Cider Vinegar? A Magic Elixir..Could it be Apple Cider Vinegar? When taken with honey (50:50) cures sore and achy muscles. Cures the common cold. 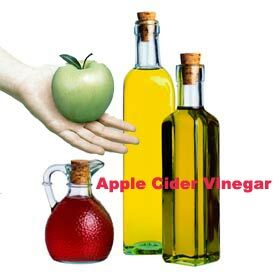 Drink 2 tsp of ACV in glass of water at the first symptoms and do several times/day. Take ACV diluted during flu season to prevent the flu! Wow! Sounds like organic apple cider vinegar should be an essential part of anyone's food and medicine cabinet! Disclaimer: I have not tried all of these suggested uses and am only repeating what has been told to me and what I have read in testimonials. Use at your own disgression! I intend to do the same!